Please click the link below to download your walk. These links have also been sent to you via email. Thank you for your order !!!first_name!!!. Please click the link below to download your walk. Heritage Walks London offer a series of unique, interactive, downloadable self-guided walks to enjoy on days out in this wonderful city. Discover an unknown and sometimes hidden London with its famous landmarks, people, events and times past. Each walk comes as a downloadble pdf, sent via an email link after purchase. These are viewable on your handheld or portable device and contain detailed directions, maps and descriptions of each location. 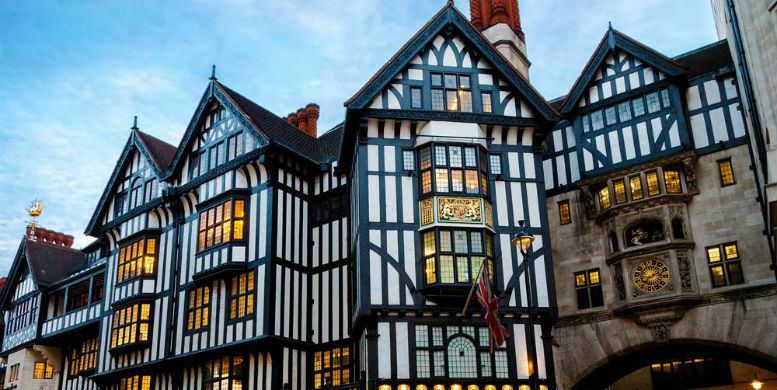 Stroll through elegant and sophisticated Mayfair in the heart of London and discover the many connections to the USA that have played a part in the â€˜Special Relationshipâ€™ since the 1780s. 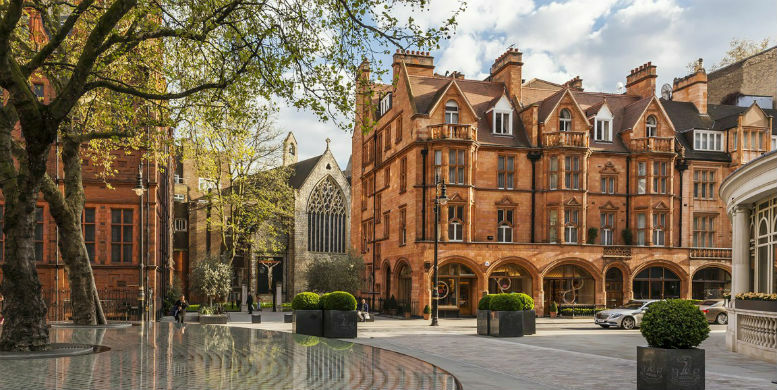 Our American Walk in Mayfair guides you through magnificent Grosvenor Square with its imposing buildings and fine gardens to the exclusive shops, auction rooms and houses of Bond Street, Savile Row and Berkeley Square. You'll see statues, memorials and the residences of US politicians, soldiers, artists and musicians. Distance: Approximately 3 miles (5 km). From frenetic Piccadilly Circus, through narrow streets and past theatre stage doors to cosmopolitan Old Compton Street and on to historic Soho Square. Then walk to Oxford Street via Dean, Wardour, Poland, Great Marlborough and Argyll streets and the London Palladium theatre. Our Soho Walk guides you through the centre of London's theatre, restaurant and entertainment neighbourhood. Discover fascinating facts about the stars of cinema, music and theatre, see where political figures lived and worked, and immerse yourself in this fun, vibrant and historic area of the 'West End'. Distance: Approximately 2 miles (3.4km). From elegant Sloane Square down to the River Thames. 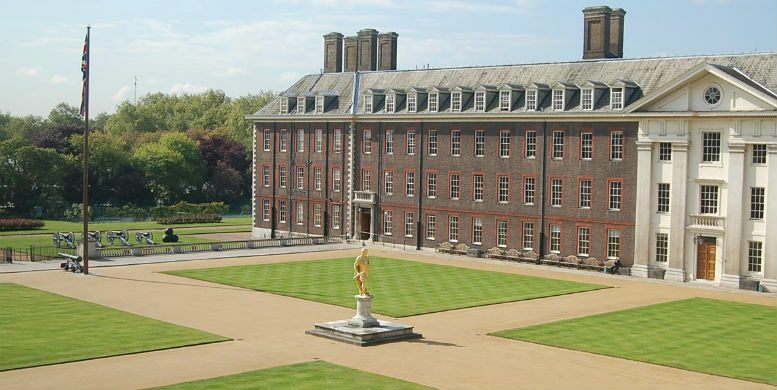 Pass through the Royal Hospital and the Physic Garden towards the magnificent Georgian houses along Cheyne Walk. Then stroll along Oakley Street and past the shops, bars and restaurants on fashionable King's Road. 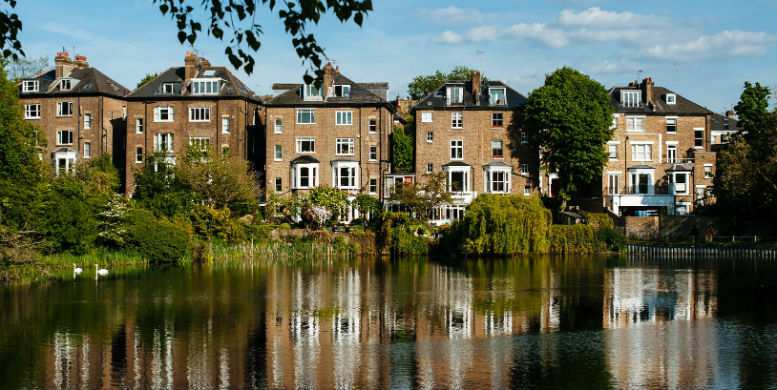 Our Chelsea Walk guides you through this bohemian area of London with its royal and artistic connections and memories of the 'Swinging Sixties'. Distance: Approximately 2.5 miles (4 km). Sightsee along Whitehall, past Horse Guards and Downing Street, to Parliament and Westminster Abbey. 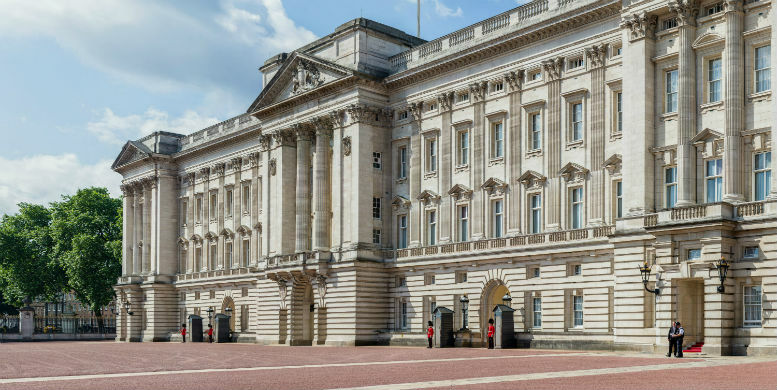 Then promenade along Birdcage Walk to Buckingham Palace and on through beautiful Green Park.Our Royal Interactive Walk guides you past some of the most interesting and important buildings and monuments in this traditional royal and government area of London. Discover how the Royal Family, Church, parliamentary and military figures have helped shape the history of the capital and Great Britain over the centuries. Now updated with new iBeaken links. Distance: Approximately 2 miles (3.4km). 5,000 acres of historic parkland offering peace, tranquility and plenty to explore and enjoy in the heart of London. Our Kensington Gardens Walk guides you gently around this beautiful area which is perfect for a stroll anytime of the year. 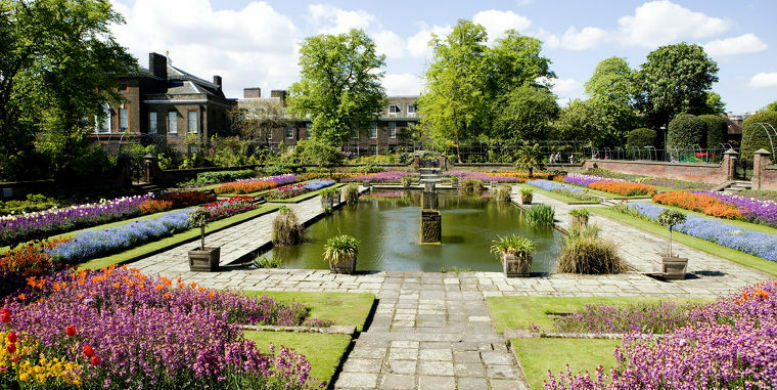 Visit Kensington Palace, sail a boat or feed the ducks on The Round Pond, remember Diana Princess of Wales at the Memorial Childrenâ€™s Playground or Memorial Fountain beside the Serpentine. See the famous statue of Peter Pan or in warmer months, enjoy a picnic in The Italian Garden. There's so much to see and do for everyone. Distance: Approximately 1 mile (1.6km). 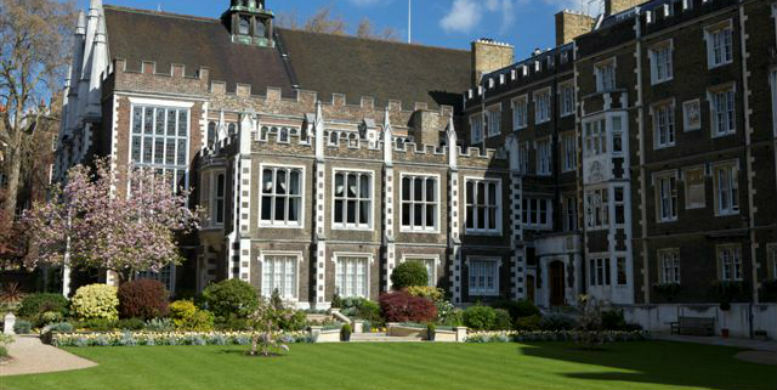 Discover the peace and tranquility of the area around The Middle Temple, one of the four Inns of Court, then join the hustle and bustle of Fleet Street, long associated with journalists and the Press. Stop at St. Bride's Church, one of Wren's finest, before walking along Ludgate Hill and the surrounding little streets and alleyways towards magnificent St. Paul's Cathedral. Our City Walk guides you through this fascinating area of London steeped in history, commerce and tradition. Distance: Approximately 2 miles (3.2km). This walk leads on from West Hampstead across the roaring highway of Finchley Road and up, by old, steep shepherd paths, to the top of Branch Hill close by the highest spot in London. Circling around the upper part of the village it returns by way of Frognal Lane and ends back at Swiss Cottage. The village has been home to countless eminent politicians, artists, musicians, writers, singers, historians, scientists, and actors who have made their homes here, such as George Romney, Keats, and John Constable. More recently it has been the home of writers such as John Galsworthy and Robert Louis-Stevenson and politicians Hugh Gaitskill and Sidney and Beatrice Webb. The other arts are well represented by musicians Adrian Boult, Dennis Brain, Paul Robeson, Edward Elgar, Kathleen Ferrier, John McCormack and William Walton. Always a favourite with the acting profession youâ€™ll find the homes of Alastair Sim and George du Maurier along the way. The London Borough of Islington was formed in 1965, when the former Metropolitan Boroughs of Islington and Finsbury were united as part of a London-wide reorganisation, but Islington's history is one of the oldest in London being mentioned in Domesday Book in the 11th century, and in an earlier Anglo-Saxon charter. 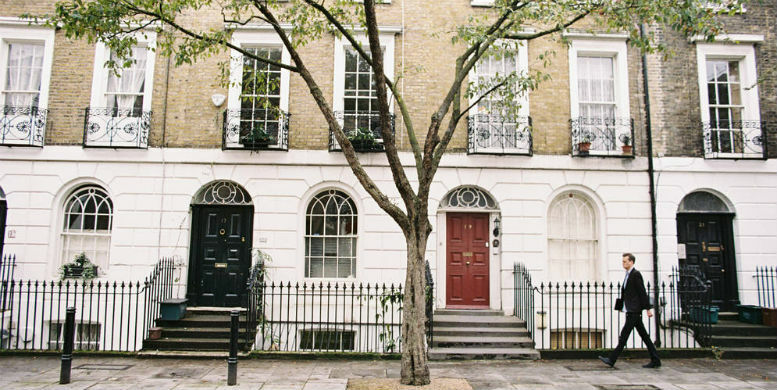 Its proximity to London and Westminster, gradually attracted rich and eminent residents. Thomas Cromwell lived at Canonbury in the 1530s, Henry Percy, 6th Earl of Northumberland (d. 1537), lived at Newington Green 1536-7. In the later 17th century Islington Spa (Clerkenwell), opposite Sadler's Wells, was developed as a resort. From the 1960s the southern part of Islington became popular with middle-class families. Conservation areas were formed and traffic schemes put into operation, leading to the cosmopolitan and exciting Islington of today. This walk takes you down to Portobello Road and across Golborne Road to the northern end of Ladbroke grove. Turning back up to where the present Portobello Market began it moves across St Johnâ€™s Hill and down to the â€˜piggeries and potteriesâ€™ area, Norland Square and back up across Ladbroke Grove to Notting Hill itself. 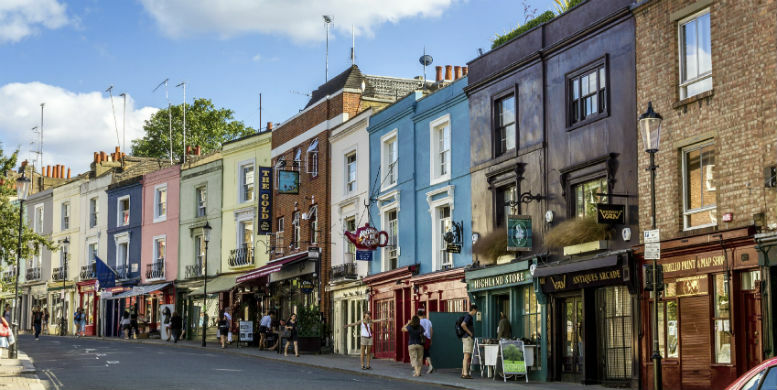 Until the early nineteenth century Notting Hill was a small village set in the countryside far outside London along the Oxford Road following the route of the old Roman road. The Kensington Hippodrome was a racecourse built in Notting Hill, London, in 1837.It was later sold for development and the area to the north was settled by immigrants from Ireland, Wales, Eastern Europe, the Caribbean, India and West Africa. Racial tensions, fanned by unscrupulous right wingers and criminal elements, led to to the Notting hill riots of 1956. The local community responded by founding the Notting Hill Carnival to celebrate the wonderful and positive cultural diversity. It continues to this day. Thereafter the area was â€˜gentrifiedâ€™, but has benefited from more waves of migrants from Europe and South America, making it it one of the most diverse and exciting parts of London. HARROW is first recorded in 767, when King Offa made a grant of land, its name then was Gumeninga Hergae, but the Normans called it Harwo, although "Herga" lives on in the names of streets and organisations. Harrow on the Hill grew around St. Mary's church, consecrated in 1094 it still dominates the skyline today. It has many beautiful old buildings, including Harrow school and some good restaurants and the Castle pub. 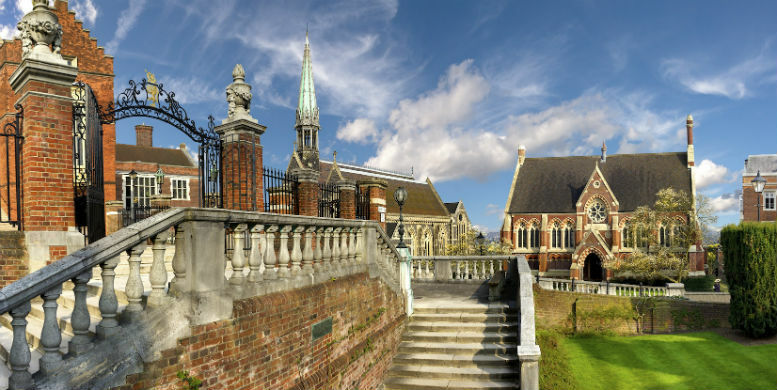 Harrow school produced many famous and infamous men. You can still see the spot where the poet, Lord Byron, dreamed and wrote. Anthony Ashley Cooper, 7th Earl of Shaftesbury, another Harrow pupil, could not have been more different. He became a noted supporter of good causes, especially childrenâ€™s welfare and workersâ€™ conditions. Young Winston Churchill was a pupil here and later became Britain's greatest war leader. © 2016 Heritage Walks London. All Rights Reserved.